Created in 1985 to showcase the applications of information technology in education, the BETT (British Educational Training and Technology Show) has progressively become one of the most important EdTech exhibitions by its scale. 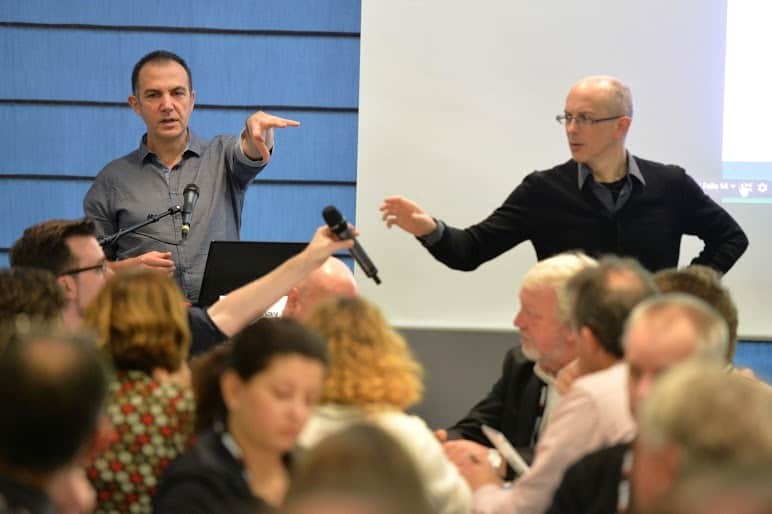 It has gathered 35,000 educators and professionals from the sector in ExCeL, London. In between two iterations of the show, I talked to several European EdTech leaders (representatives from FutureLearn, JISC, Open University, UCL Institute of Education, and so on) to get a “pulse” on the state of online learning in 2016. These discussions coalesced into several trends, which we will cover in a three part series. You can find part one of the series here. Very few MOOC providers were here at BETT — only FutureLearn, and with a discrete booth. Why do the MOOC providers not show up? Not the right event for them? 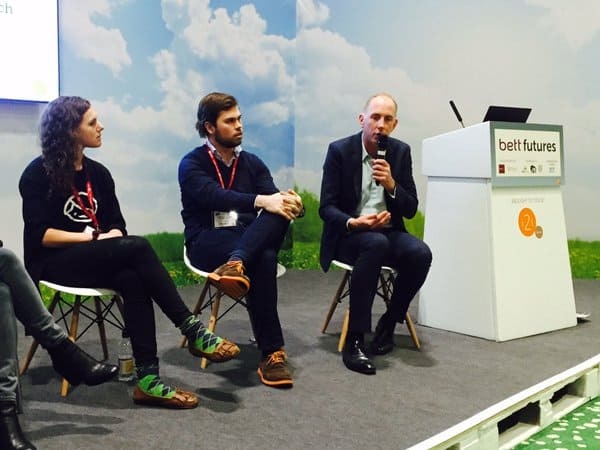 BETT is supposed to be the biggest EdTech event in Europe … These are the questions I put to the experts. I think that FutureLearn was the only MOOC platform with a stand at BETT (it was discrete largely due to meager budgets!) for a number of reasons. The first is that awareness of MOOC platforms, and of what they can contribute to schools, is still low in the schools sector. Many of the big platforms are outside of the UK and only making an entry into the UK now. Also, i think that many MOOC platforms don’t have dedicated programs for schools, at least not in the UK. We’re one of the only platforms with a dedicated UK-focused programme (our “Going to University” collection) aimed at school learners aged between 16–18 years old. I was at BETT to meet people invested in online learning. I’ve encountered many; still, I have the feeling that the exhibit was more about selling chairs, 3D printers, lego bricks, and all. This is certainly related to the change in UK curriculum, which now includes more programming. Still, there was more hardware and furniture [at BETT] than learning innovations and MOOCs’ new practices, in contrast to eMOOC where everything is about MOOCs. Some of the current diversification of the MOOC platforms in Europe happens at a regional level. Every country wants to have their own platform to cover the demand of courses in their specific language, to differentiate from the English courses market covered by the UK/US platforms. These include MiríadaX with the Spanish, Portuguese, and Latin-American market; Imoox in Austria; FUN in France; MOOC.no in Norway; and so on. None of these show a specific interest in reaching the global market. So maybe some of the European platforms do not show too much interest in participating in BETT because they do not find any advantage in being in the UK for the moment. At the same time, MOOC platforms need universities, because they are currently the main actors providing MOOC contents, and the higher education sector has very little presence in BETT. Despite that, I was expecting more presence from MOOCs in talks and seminars. The cause for a poor presence of MOOC providers is perhaps related to the fact that they are developing different strategies in different contexts, and not in all situations. The participation in an international fair [such as BETT] is evaluated as a strategic choice: in the US the biggest MOOC providers are still following a one-to-one selective approach with institutions that can be admitted, in order to keep full control over the level of the partnerships. In contrast, in some European countries, such as France or Spain, the main MOOC providers (e.g. FUN in France or MiriadaX in Spain) are more interested in the national context, so their motivation for an international fair is not so high. In my opinion, it’s refreshing that the discussion around MOOCs has moved beyond the hype about what a MOOC platform can provide, which is a relatively basic proposition from a pedagogic perspective; instead people are now focusing on developing strategies that afford learning in a multiplicity of ways, and MOOCs are part of that. MOOCs do figure more prominently at other shows; however, what sets BETT apart is the richness of conversation taking place between us about how we are using MOOCs to support professional development and teacher education, for outreach and developing international markets, to bring in part-time and leisure learners who have been excluded up until recently because of changes to funding, and so on. I participated in two sessions relating to MOOCs: I gave a talk on “Evaluating the Current Landscape of Higher Education,” which included reporting on the experience of running two MOOCs for teacher professional development (in primary and vocational education); and I chaired a session in FE@BETT on the origins and experience of our Ufi-funded MOOC about Blended Learning on the FutureLearn platform. We had standing room only at both events, though admittedly they were smallish rooms. So I’m hopeful that this is the beginning of a new interest in both MOOCs and the Further Education (FE) sector at BETT. 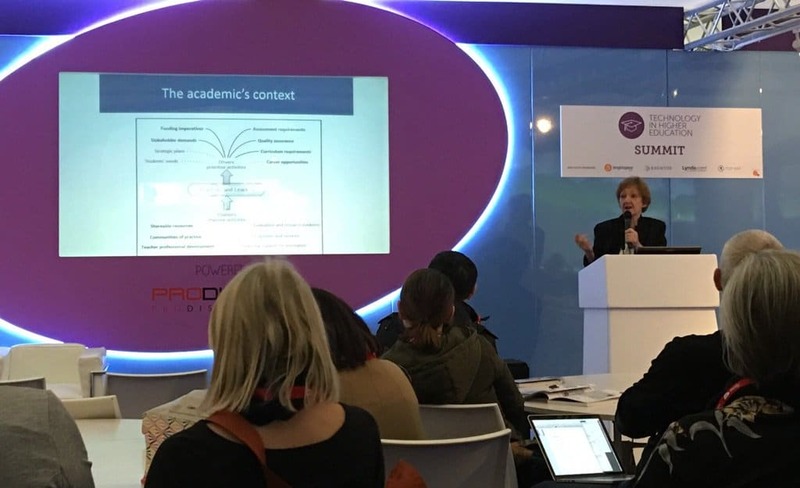 This exhibition has always been dominated by the schools sector, and MOOCs hardly make an impact there at present, so it will take a while for BETT to catch up with why they might be useful to this sector. Diana Laurillard on how technology-enhanced learning is making its impact on higher education (source: Twitter). Teachers are entrepreneurs: many of them try new pedagogic methods and take initiatives. In that light, online learning is an empowering tool for them, yet still a tool — teachers are still at the helm. Teachers are naturally entrepreneurial; their job demands innovation. Through a proliferation in technology, they now have more tools to enable their ideas. MOOC platforms can help teachers innovate because they are a risk-free ways of experimenting with new pedagogic methods, including online delivery and blended learning. There are no upfront platform costs and courses can typically be taken for free, so teachers can experiment liberally. As a result we’re seeing a high adoption of MOOCs in schools for things like enrichment sessions. We’re also seeing a lot of this through our courses. We have a surprisingly high number of course enrollments from teachers around the world — but it’s not just enrollments in courses about education, but also in our tech and entrepreneurial course portfolio. Teachers aren’t trained as entrepreneurs: they don’t know how to actually develop and drive successful innovations that are sustainable. The education ecosystem isn’t supportive of this. Teacherpreneurs aren’t rewarded for their initiatives. One rule of business is “fail often and fail fast.” But as a teacher, if you fail you are fired, or are not well reviewed by the academy. It’s problematic. Nonetheless, can you think of a surgeon being an entrepreneur and failing often? No. And it’s the same with teachers, because they have the responsibility to the learners and to the kids. The risks are high, but the risk of not innovating is higher, so we need to establish mechanisms to innovate and contain the risks. That needs to be done on a European level. The teacherpreneur approach is more and more evident when you go out of curricular MOOCs and you explore topics that are not limited by conventions assumed in face-to-face paths. That’s why my University, in its own MOOC portal based on OpenedX (www.pok.polimi.it), has decided to adopt the approach called “MOOCs to bridge the gaps”: we’re testing the idea that by-passing the curricular limitations pushes teachers to experience a new freedom to experiment with innovative teaching-learning approaches that, in the future, could fertilize curricular practices. MOOCs do allow an element of teacher empowerment, which is seeing a welcome change in how we think about designing and developing modules. There does, however, need to be a balance between the educator as a subject specialist and the academic as a learning designer. It is a big ask for all educators to be both scholars within their own subject domains (i.e. subject matter experts) and also educational technologists and specialists in online learning. There is still a role to be played by others in supporting educators to understand and use technology appropriately. For example, at the Open University we have made an investment in Learning Design and have a recently formed group of “Senior TEL Designers” who work with educators in redesigning the curriculum. We are still learning how best to do this, but it is already leading to a much better understanding of what adds value and leads to improvement in satisfaction, retention, and progression for our learners. MOOCs provide a great place for experimentation and we need to use them to help us learn more about supporting students. The educators are extremely inventive in using MOOCs, where the relative simplicity of such social platforms can paradoxically provide opportunity for great creativity in the construction of learning activities. One of the most successful activities in our Blended Learning MOOC for Further Education was one in which participants had to submit a design for learning and then review the designs of others. They loved it, and even delighted in the feedback they got. The same thing happened on our MOOC for primary teachers — they rated “doing a peer review” as the top activity on the course. I think this willingness to share and collaborate, just as scientists and scholars do to build new knowledge, is the way the teaching community will be able to build the knowledge of new digital pedagogies. MOOCs will play a very important part in that process. MOOCs have an increased perceived value, and are more and more used in specific professional contexts. I believe that all of the major MOOC platforms are starting to focus more on professional learners, and on developing courses that have high intrinsic value for this audience. 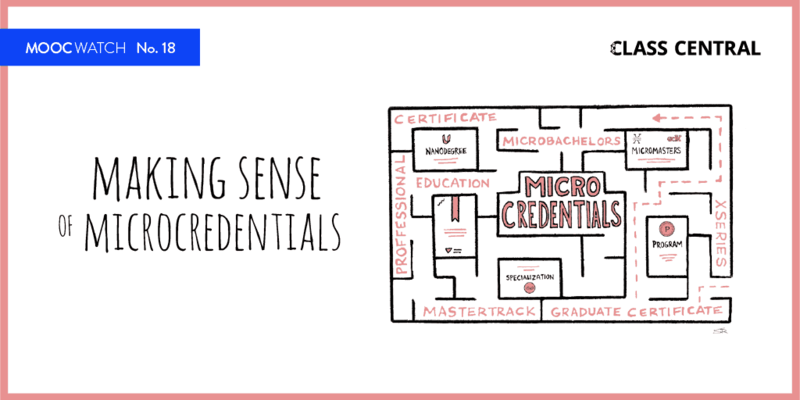 We’re focusing on building a strong portfolio of courses for professionals that can carry accreditation or endorsements from professional bodies. And we already have a sizeable number of teachers from the UK and around the world who use our courses for CPD (continuing professional development). Recently we’ve launched “Programs,” which are a related series of courses that can be accredited, lead to a qualification, or offer academic credit. People are starting to get some sense of the quality of MOOC production. This is the work we are doing at MOOCKnowledge: we are going beyond the usual metrics of completion rates and the “quality” of the lecture. We understand that there are some rules of what an effective learner experience is, and MOOCs are not the same as producing videos for entertainment. 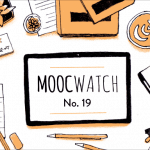 There’s a need to develop standards of quality in MOOCs; for example, videos shouldn’t go beyond five minutes (but that’s just the easy part). There’s some sort of “MOOC production common sense” that starts to build up. It is very interesting to analyze the supply of the series of courses provided by different big players (e.g. 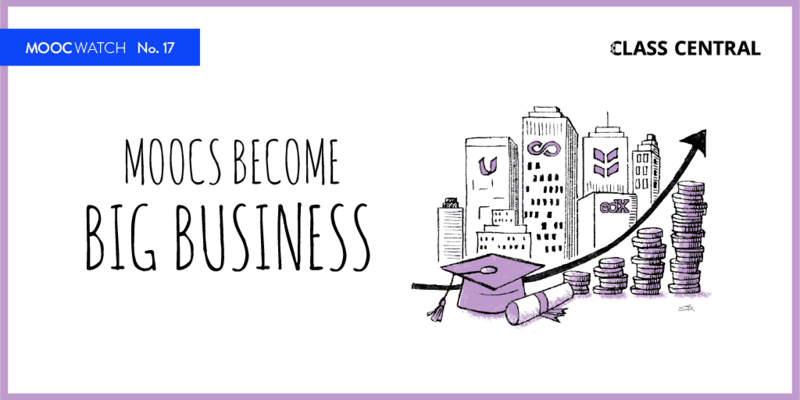 edX’s Series, Coursera’s Specializations, Udacity’s Nanodegrees) that are always based on a strong collaboration with companies interested in hiring people who are skilled according to their needs. In this process the traditional higher education system is totally by-passed and it is losing its role both in defining necessary content and in the validation of the learning outcomes. A new scenario is indeed coming. We have developed internal Badged Open Courses (BOCs) for staff development, and it will be interesting to see how well they support our staff. We also know that many educators enroll on external MOOCs aligned with their practice, and we have been encouraging that. I agree with Diana that professional education is a principle focus for MOOCs. We see this with OpenLearn, which provides opportunities for self-regulated learning. We find these resources are particularly valued by professionals who want to improve their knowledge or develop new skills. I can only see three legitimate roles for MOOCs at present — professional development, leisure learning, and tasters for further and higher education courses. The first two should be fee-paying; the third should be part of what post-16 education is responsible for, in order to broaden access and to encourage all kinds of people, of all ages, into formal education. MOOCs are not yet capable of supporting undergraduate education because we have not yet solved the problem of how to provide adequate learner support on the mass scale. The Open University, with its hundreds of thousands of students, has to employ thousands of tutors to nurture their learning, as is appropriate for an undergraduate degree. The early hype [about MOOCs] got it wrong by making unreasonable claims of this type. So professional education will be a principal focus, not an also-ran. Most people who take MOOCs, by far the majority, are highly qualified professionals and should be paying for that education, not being subsidized by high undergraduate fees. We need to build new and better funding models for the MOOCs we run, and have higher ambitions for what they achieve for professional development, which WILL in turn benefit those who need access. Join us next time for part three! About the author: Yoni Dayan is an entrepreneur in EdTech and a teaching assistant for Stanford and NovoEd (Technology Entrepreneurship course). For five years he has been designing and updating online programs, creating and engaging learning communities, and experimenting on new ways to learn (social learning, VR/AR, etc.). Follow him on Twitter.